Capturing an intimate look at the private lives of North American wildlife, these photographs are more than an illustration of a species. Each photograph is the interplay between light, shadow, color, form, and texture, as well as a glimpse into the life and character of an animal. Using lasers or LEDs and digital imaging technology, each photograph is printed with generous borders on premium photographic materials. With formal training in life sciences, Douglas Herr has been photographing wildlife since 1970. Seeking a partnership with the animal, Doug spends the time needed to allow the animal to become comfortable in his presence. This allows the animal to relax and often allows the use of shorter lenses than is customary for wildlife photography which in turn allows in the photograph a sense of the animal's preferred habitat. Now a resident of Sacramento County California, Doug has lived and worked in several US National Parks and spends his time in whatever wild lands are close to home. 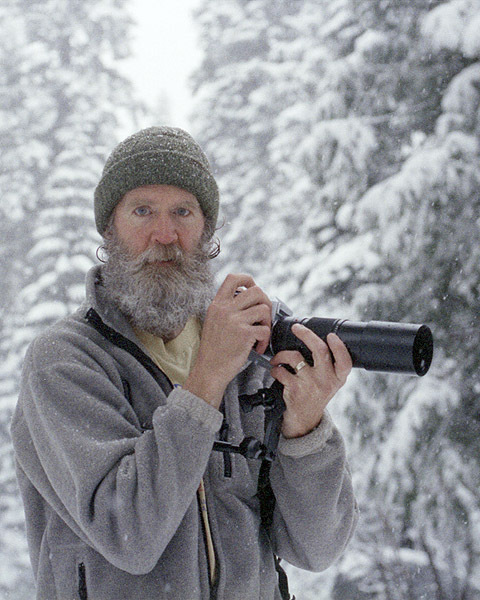 His photographs have appeared in many books, calendars and magazines worldwide including Audubon, Pacific Discovery, Wildbird and Leica Fotografie International, and prints of his photographs are in private collections on most continents.